We are looking for an experienced operations engineer responsible for configuring (cloud) infrastructures, including keeping it operational during all phases of development and in production. Someone who wants to work in an international business environment and make the world a better place by improving biomedical research software. 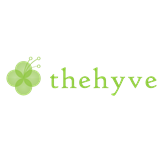 The Hyve is an innovative, international IT company, employing software developers, solutions architects and data engineers. We are dedicated to delivering solutions that support scientists in life sciences and healthcare R&D using open source software, open data and open standards. Our vision is to enhance the quality and impact of biomedical research by providing tailored informatics solutions. You will become part of a team dedicated to building a platform as a service. Expanding our team will enable us to further develop our products and services portfolio. We are looking for a trustworthy and reliable Operations Engineer. You are a service-oriented problem solver, a team player. You have excellent communication skills both with regards to internal and external stakeholders (developers, team leads, product owners and clients). We have a Personal Development Budget for each employee of The Hyve, to encourage investing in developing yourself personally or professionally. A great workplace with team activities, Game Nights and a piano. Want to get notified about new jobs at The Hyve?